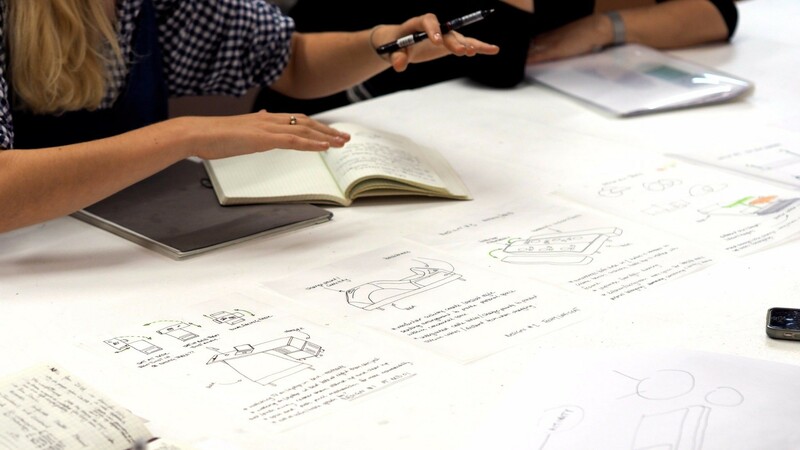 Tom Dixon gets into bed with the biggest furniture company in the world to create a durable, transformable platform for living – DELAKTIG. It started with a pitch to IKEA for a cot and a coffin, but they thought that was inappropriate. We had a rethink and just thought: bed sofa. We know the bed is the perfect unit of furnishing – in as much as everyone needs a bed. It doesn't matter if you're in prison, you're camping, you're in the army, you're on your deathbed, everybody needs a bed. It's pretty much the only thing you need in furniture. We won't be making the bed, IKEA are doing that for us. But we will be making the bits on the side. So, this is the plan - you can go to IKEA and you can buy yourself a DELAKTIG bed. It’s an affordable bed. If you want, you can add components to make it into a sofa. Once you’ve got this bed sofa you can add on our hacks, other people’s hacks, or you can hack it yourself. HACKS: sleek black Kvadrat cover with substantial and durable aluminium Side Table, Side Panels and Boom Light. 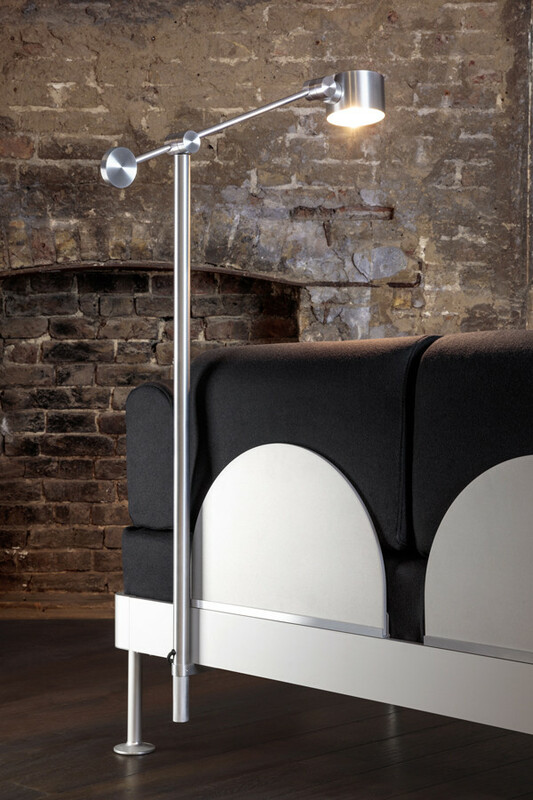 We’ve produced heavy-weight task lamps, coffee tables and magazine racks that can be clamped, slotted or bolted on at will, to mutate the sofa into a work or entertainment space. Made of substantial and durable aluminium plate the hacks are robust enough to last a lifetime. 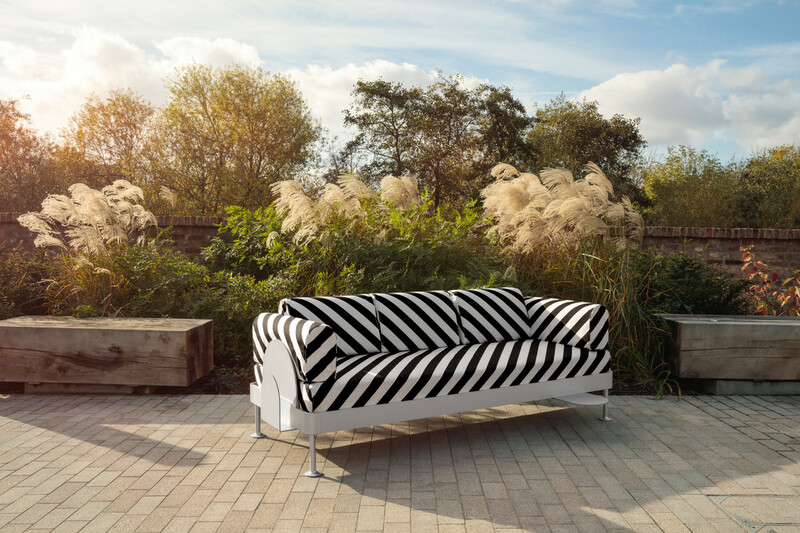 We’ve also collaborated with Bemz who specialize in soft hacks to produce three luxe covers that elevate the IKEA frame into a luxury unit – from Shower-proof stripes to an Icelandic sheepskin mono-cover known as ‘The Beast’. All allowing you to pimp your IKEA bed. Contributing to a global community of IKEA hackers that already edit and modify IKEA designs for every-day life, Tom and IKEA began work with the world’s most innovative art schools to see if DELAKTIG, rather than being a complete finished piece of furniture, could be the start of something much bigger - a kind of ecosystem with unlimited possibilities. The results were diverse and inspiring. It's turned into a raft, it's turned into a double decker bed, a sofa system for airports. It's a bed first but it can turn into anything. The bed becomes a sofa with our additions and even more with a network of sub-suppliers that will feed into this platform. 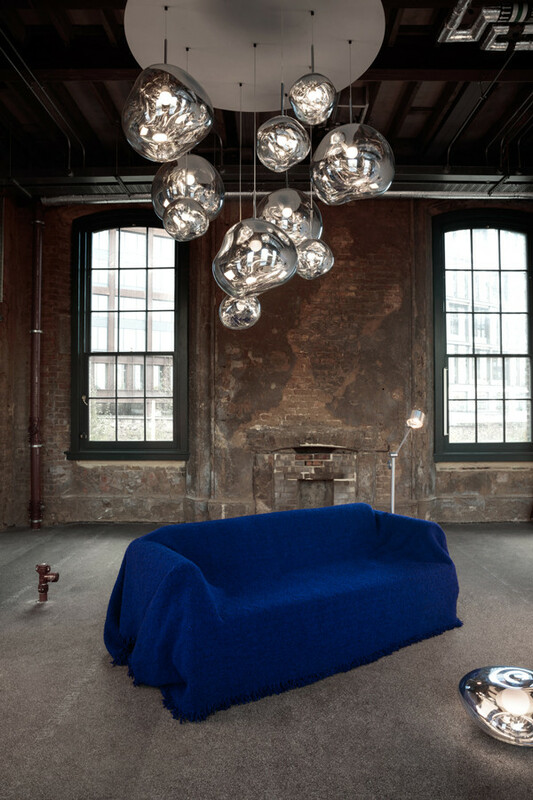 WIN the IKEA Delaktig 3 person sofa with our outdoor cover, designed and hacked by Tom Dixon. 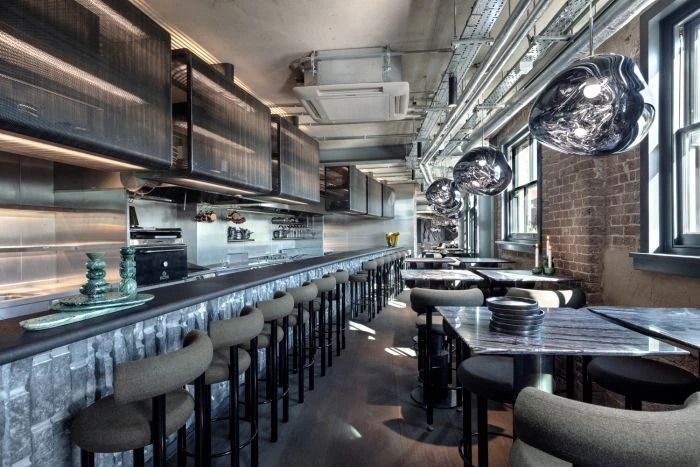 Mention or Tag us @tomdixonstudio and make sure you post is public so we can see it. Please get creative within our space as Tom will pick his favourite image as the winner. Competition closes Monday 21st May 2018. 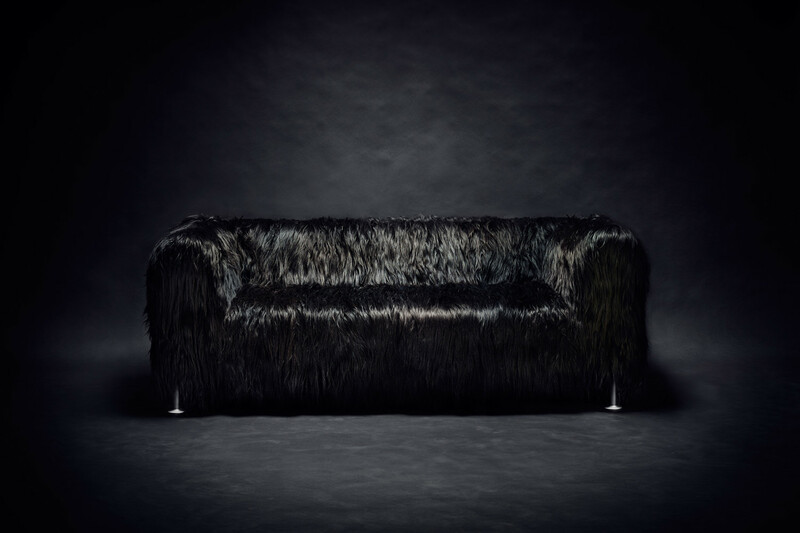 The winner is @natashagreeny with the photo of the Delaktig Sofa. 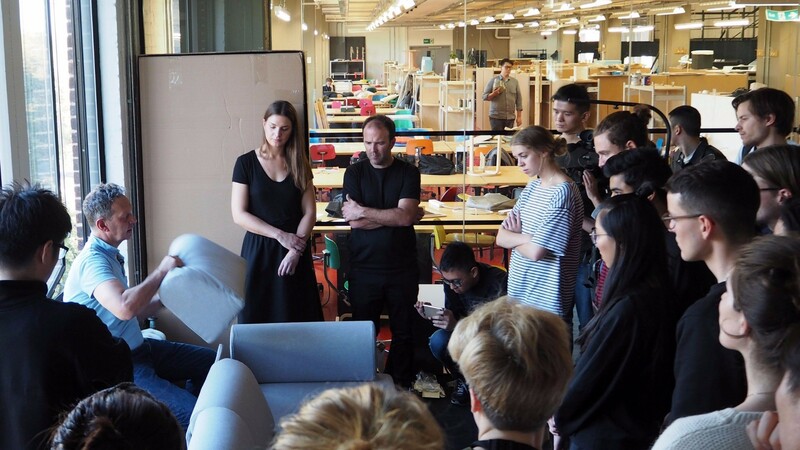 They recieved the IKEA Delaktig Sofa with the outdoor cover and several Tom Dixon hacks.